1952 was the year America caught flying-saucer fever. So when a rash of strange sightings was reported in the skies over Washington D.C. that summer, the press and the public demanded answers. Were these unexplained radar blips, crafts that in some cases outran jets, part of a nuclear-armed Soviet invasion—a very real threat at the height of the Red Scare? Or were they evidence of something far more mysterious? The Washington, D.C. sightings of July 1952, also known as “the Big Flap,” hold a special place in the history of unidentified flying objects. Major American newspapers were reporting multiple credible sightings by civilian and military radar operators and pilots—so many that a special intelligence unit of the U.S. Air Force was sent in to investigate. What they found—or didn’t find—along with the Air Force’s official explanation, fueled some of the earliest conspiracy theories about a government plot to hide evidence of alien life. It all started in 1947, when a search-and-rescue pilot named Kenneth Arnold reported nine “saucer-like things…flying like geese in a diagonal chainlike line” at speeds exceeding 1,000 m.p.h. near Mount Rainier in Washington State. Within weeks, “flying saucer” sightings had been reported in 40 other states. In the name of national security, Air Force General Nathan Twining launched Project SIGN (originally named Project SAUCER) in 1948, the first official military-intelligence program to collect information on UFO sightings. Its investigators dismissed the vast majority as hoaxes or misidentifications of known aircraft or natural phenomena. According to The Washington Post, the number of UFO sightings reported to the Air Force jumped more than sixfold, from 23 in March 1952 to 148 in June. By July, the precise conditions were in place for a wildfire of UFO mania: widespread Cold War anxiety, mainstream press coverage of unexplained UFO incidents and a healthy dose of “midsummer madness.” All that was needed was a spark. Shortly before midnight on Saturday, July 19, 1952, air-traffic controller Edward Nugent at Washington National Airport spotted seven slow-moving objects on his radar screen far from any known civilian or military flight paths. He called over his supervisor and joked about a “fleet of flying saucers.” At the same time, two more air-traffic controllers at National spotted a strange bright light hovering in the distance that suddenly zipped away at incredible speed. When radar operators at National watched the objects buzz past the White House and Capitol building, the UFO jokes stopped. Two F-94 interceptor jets were scrambled, but each time they approached the locations appearing on the radar screens, the mysterious blips would disappear. By dawn of July 20, the objects were gone. Nobody bothered to tell Ruppelt, the Air Force’s lead Project Blue Book investigator, about the sightings. He found out a few days later when he flew into Washington, D.C. and read news reports. Ruppelt tried to get out to National and Andrews to interview radar operators and air-traffic controllers, but was denied a government-issued car or even cab fare. Frustrated, he flew back to Ohio with nothing. The very next Saturday, the UFOs were back over the nation’s capital. Again, Ruppelt found out through a phone call from a reporter, and immediately called on two Air Force colleagues to check out the situation at National. The same radar blips were back, and radar operators wondered out loud if the dozen or so objects on their screens couldn’t be caused by a temperature inversion, a common phenomenon in D.C.’s hot, muggy summer months. A temperature inversion occurs when a layer of warm air forms in the low atmosphere, trapping cooler air beneath. Radar signals can bounce off this layer at shallow angles and mistakenly show near-ground objects as appearing in the sky. Ruppelt’s Air Force colleagues, however, were convinced that the objects on the radar screen weren’t mirages, but solid aircraft. To be safe, two more F-94 jets were scrambled to chase down the unidentified targets appearing on radar screens at both National and Andrews. A game of high-speed Whack-a-Mole ensued, where the jets would race to a location targeted by radar, only for the blips to vanish. Finally, one of the jet pilots caught sight of a bright light in the distance and gave chase. 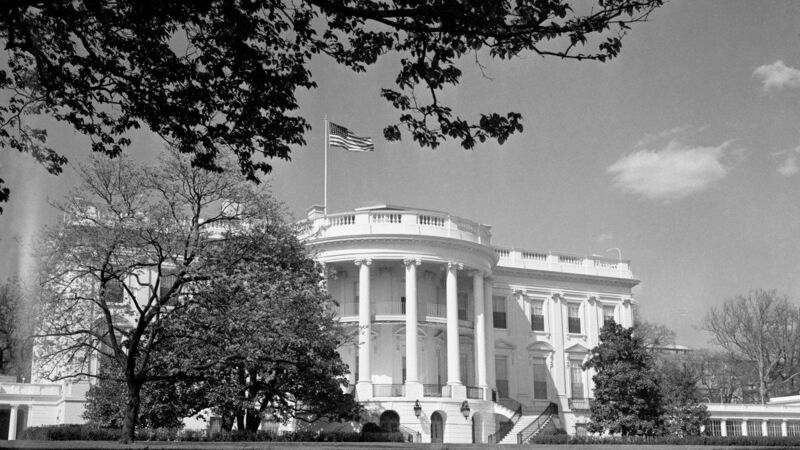 The next day, newspaper headlines across America screamed “Saucers Swarm Over Capital” and “Jets Chase D.C. Sky Ghosts.” The publicity and public panic over the sightings were so great that President Harry Truman himself asked aides to get answers. When they called Ruppelt, he said it could have been caused by a temperature inversion, but more investigation was needed to fully explain both the radar images and credible eyewitness accounts. But before such an in-depth investigation could take place, the Air Force called a press conference, the longest such news event since World War II. The Air Force brass had decided, without consulting Ruppelt or the Project Blue Book team, that the best response to the sightings was to feed the press and the public an easy-to-swallow explanation. Dodging specific questions about what pilots and radar operators had seen in the skies over the Capitol, Major General John Samford came back again and again to the temperature-inversion theory. Never mind that Ruppelt had since come to the opposite conclusion. To Ruppelt’s disappointment, the Air Force’s press conference worked exactly as planned. The papers reported the temperature-inversion story and the public largely seemed to accept it. In his 1956 book, The Report on Unidentified Flying Objects, Ruppelt reports that after the press conference, UFO sightings dropped from 50 a day to 10. Skeptics, however, weren’t satisfied with the pat government response. Many accused Air Force and Project Blue Book investigators of devious behavior and secret knowledge. It wasn’t until Project Blue Book documents were made public in 1985 that UFO sleuths could see that the closest thing to a government cover-up of UFO sightings in the nation’s capital was actually a conspiracy of ignorance.